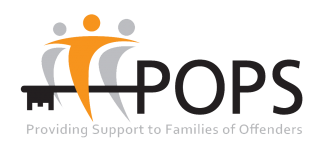 Partners of Prisoners POPS provide information and support for offenders' families from the point of arrest through to release and beyond. Celebrating POPS 25 year anniversary – the anderson lectures! 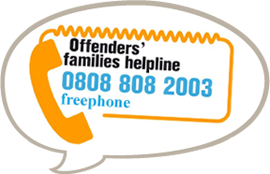 At Kirkham we understand the distress and disruption a prison sentence can have on a family unit and know the importance and difference maintaining family ties can have during this difficult period in your lives. Through POPS’ Visitor Centre families can access advice and support for all visitors on a range of issues. We also offer one to one support at times to suit families, please ask for more information. We host Family Days, giving offenders’ families, offenders and their children the opportunity to participate in activities. Please ask one of the POPS’ Visitor Centre staff for further information. Family Forums are also available for families to get involved in, allowing families the opportunity to express any concerns that they may have. Your views and ideas are important to us. If you qualify to receive help with your finances such as benefits, you may be able to recoup all or part of the cost of your travel expenses. We want to hear what you've got to say on the issues that affect you. Got the solution? Join the conversation here. Partners of Prisoners © 2019. All Rights Reserved.